The keris Pulanggeni is a five-waved (‘luk’) dapur model of Javanese origin. Unlike most traditional Javanese kerises, this particular keris has a rather tall and heavy blade. These characteristic features are commonly found amongst kerises from the tangguh Cirebon era (15th–17th century CE), a historical period referring to the reign of one of Java’s first Islamic states; i.e., the Sultanate of Cirebon (1445–1677), which was situated in the coastal city of Cirebon on the provincial border between West and Central Java. In general, Cirebon kerises have a dapur that features a rather minimalistic design with very little decoration added to the blade. So too does this keris Pulanggeni. 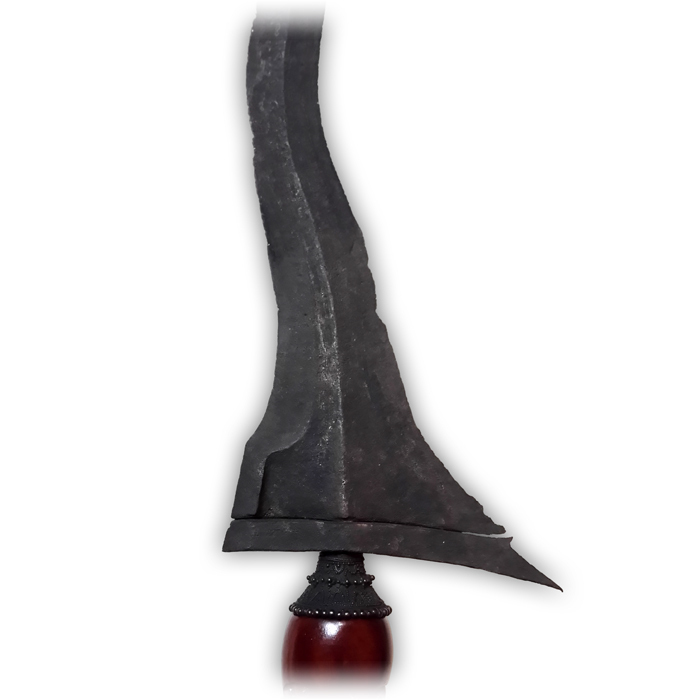 In fact, this keris has as few as three ricikan parts: (1) an ada-ada, a gracious line in the center of the blade which runs from the bottom to the tip of it; (2) a plain gandik on the left side of the base, which is flanked by a shallow sraweyan on the right side; and (3) a subtle greneng sticking out on the upper right side of the ganja-part at the bottom of the blade. 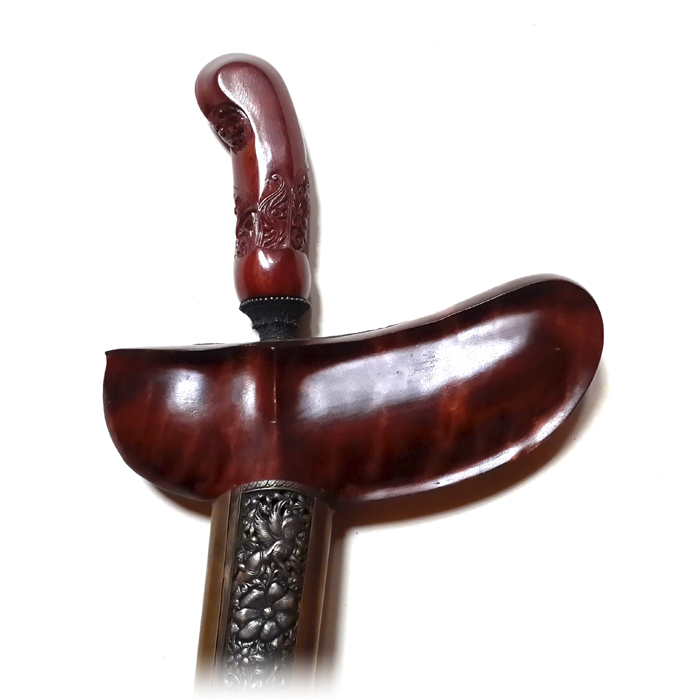 However, in spite of its seemingly simplistic design, the keris Pulanggeni has been forged from top-quality iron, resulting in a large and robust heirloom (pusaka) indeed. After more than four centuries have passed, it is therefore not surprising to see that this masterpiece has been retained in such great condition. 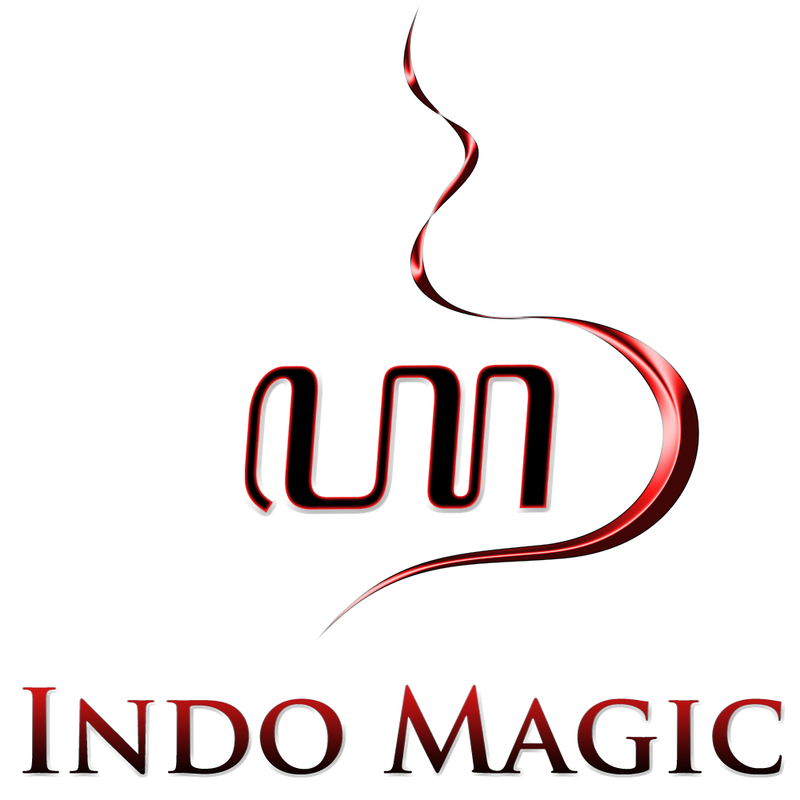 Indeed, this shows the extraordinary quality of the materials which were used in the forging process of this ancient Indonesian artifact. 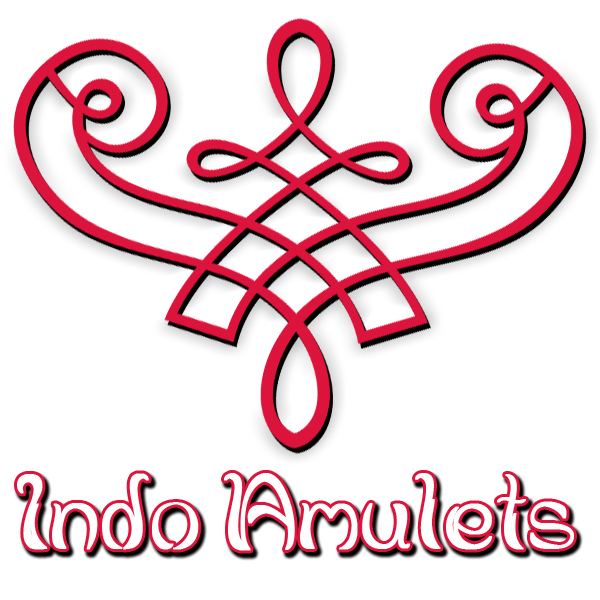 It is also the reason why the pamor motif is relatively dark in color, because it has been forged using mainly iron; hence it features the so-called Sanak pattern. 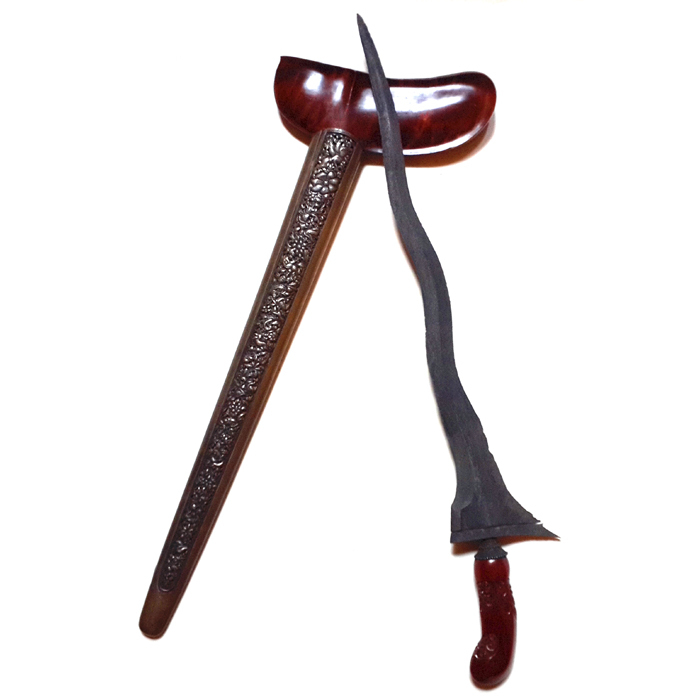 And although the blade does not have many ricikan to it, yet the keris comes with other extra features, such as a very unique pendok cover made from ancient brass and silver, which, just like the wooden hilt, has incredibly detailed motifs carved into it.